Yaguara is the growth management platform for eCommerce companies moving from a reactive to a proactive strategy. 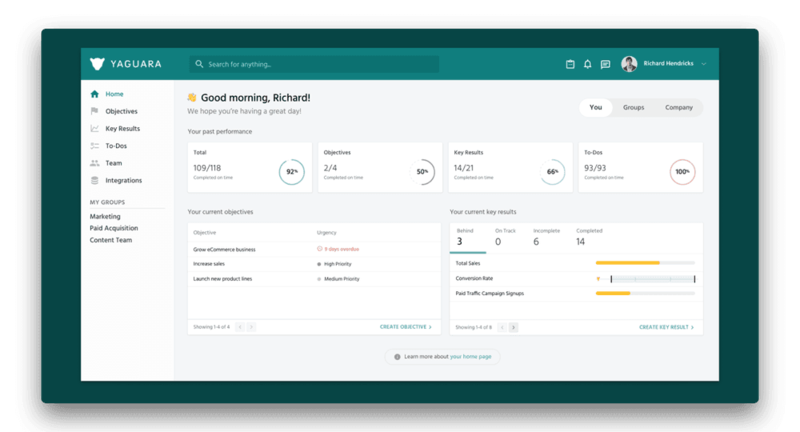 Using real-time data that matters most and AI for smart recommendations, Yaguara ties actionable tasks to high-level company goals, allowing for delivery of timely, predictive insights to teams at the individual level. The Yaguara team has always focused on providing a great customer experience. However, tracking requests has always been a time-consuming challenge. They already use several collaboration tools so feedback would get put into a number of different places (Slack, email, notebook, Trello, Google Sheets, etc.). If you have it in a bunch of different places, you really have nothing, because you have no single source of truth. Additionally, when feedback was tracked in something like Trello, no user data was captured. Feedback would simply be a title and description of a feature or bug. No indication of who requested it, how many others requested it, what revenue was associated with it, or a link to the actual conversation to better understand the why. Having to jump around to different tools and boards to submit bug requests is as bad for users as it for your team. If a user reports a bug or makes a feature request in an Intercom conversation, Yaguara would ask the user to submit that same feedback somewhere else, or they would submit it on the user's behalf in a different tool (Trello) with no reference back to the original conversation. With Userfeed, Yaguara can now submit a bugs and requests on a user's behalf directly within a conversation. Additionally, they can keep track of which users are experiencing the issue and which conversations are related. 😍😍Not only does this help them resolve issues faster, but the bug card that Userfeed sends to the end user enables Yagaura to provide a better customer experience during a time when a user is having an issue. Yaguara manages the status of features and bugs directly in Userfeed. Any change in status notifies the admin in any related Intercom conversations, letting them decide if and how to inform the user or ask for more input. 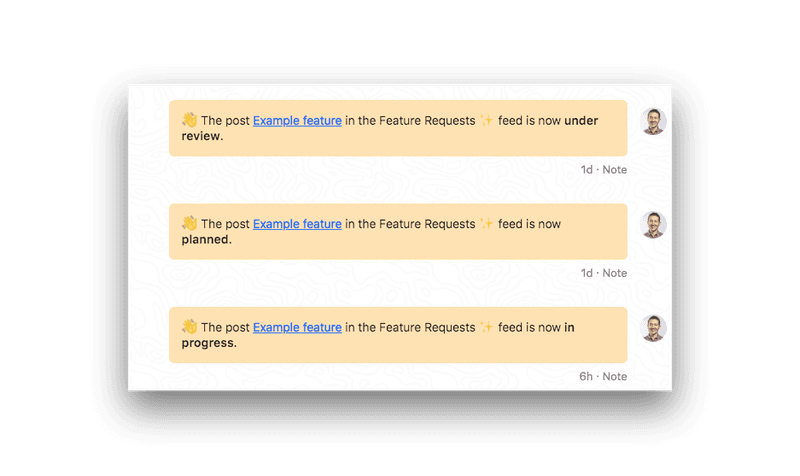 When a request gets completed, Yaguara is one click away from messaging (via Intercom) every user that was interested in the request. Their customers are happier, they get more feedback, and they can be confident that users are in the loop as their feedback is heard.